You all know how much I love to cook and I'm always on the hunt for new yummy recipes to try. Several years ago I thought, wouldn't it be cool to have a recipe box/book with shared recipes from members from here and thus, Gingerbread's annual recipe exchange was born. ~ Everyone who signed up would be responsible for doing at least 2 recipes. You will have to send your 2 recipes to all the other members who participate. Just keep in mind if we have 10 participants that'll be 20 recipe cards you have to do. *But it'll be worth it when you get all your lovely cards! ~ Recipes must be done on recipe cards or recipe card sized paper. For example if you wanted to do yours on the computer that'd be ok as long as you cut them to card size, about 4x6 inch seems to be the standard. Cards will need to be mailed out no later than June 4th!! If for any reason your cards will be late getting mailed please message me so at least I know and don't think you've fallen out. If you are interested in joining message me your address by the sign-up deadline. Requirements are that you must have been a member here for at least 2 months or have accumulated some positive feedback for me to consider. This is a good opportunity for some newer members who haven't accumulated any feedback yet to have a chance to earn some for future swaps and trades. If you have any questions about being eligible to participate feel free to message me. I may consider Arena or eBay feedback for newer members. Also, please let me know if you have any particular allergies to certain foods. 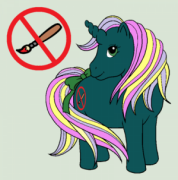 It's not required that all participant's recipes take these into account but it would be the nice pony-thing to do. Please at least include some of your recipes that all participants could use. I will note next to each person's name any allergies. pm sent not much of a cook but this could be fun. The deadline is tough with my birthday and school, but I'm so in! Have fun guys, my printer is broken and I can't write out due to nerve pain so I have to sit this one out this year. nerve pain oh honey child I feel you there. eek my southern roots are showing. I'm so sorry. I'm not going to be able to do this. Life is just too much right now. hugs I will send you a copy of my stuff. 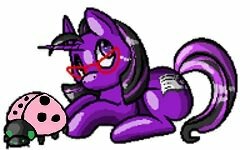 no prob I am mail compainion pony next week I hope it helps. dang I got the wrong size cards. Do I need to go and get different ones? I'm sure it's fine. They don't have to be a specific size just somewhat like recipe cards. There index cards. My mom, my Nannies, almost all the people who write recipe use them. Also my recipe are rather simple as I don't really cook. I know what I'm going to share. Its a family recipe. Hope you guys enjoy it.